Flipkart Sale Launching Xiaomi Redmi 5A 32 GB Rs. 6999, 16 GB Rs.4999. Sale Starts on Monday, 1st October 2018 at 12 Pm. Stay Tuned! (Xiaomi Redmi 5A Registration Now). Redmi 5A and experience power like never before. The Redmi 5A offers high-speed performance along with a long battery life.You can follow the below steps to buy this product at their deal price.Keep Visiting dealsheaven.in for more Best offers ,hot online deals, promo code, coupons and discount . 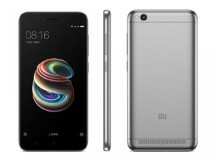 How to Buy Redmi 5A From Flipkart Sale? Redmi 5A boasts of a beautiful fully-laminated 12.7 cm (5) HD display. Upto 8 days standby time with 3000 mAh Battery.Take gorgeous group photos and scenic shots on the all-new Redmi 5A. It is equipped with a fast focusing 13MP camera that helps you capture sharp and crisp photos.Qualcomm's Snapdragon 425 64-bit quad-core processor is great for daily use and performs well even when you're playing visually intensive games.Upgrade to the Redmi 5A smartphone that boasts a fully-laminated HD display. Play games, watch videos, and much more on this phone, as it is powered by a Qualcomm Snapdragon 425 processor. Take advantage of its 13 MP camera with PDAF and capture scenic shots and gorgeous group photos. It houses a 3000 mAh battery that gives you a standby time of up to 8 days.